Minnesota’s 5th Congressional District Congressman Keith Ellison’s latest community forum will focus on the “The State of East Africa”. 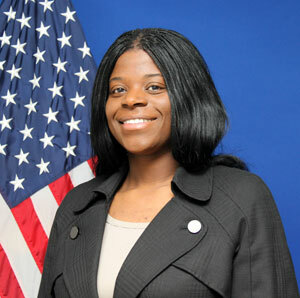 It will feature USAID Assistant Administrator, Linda Etim who has been in her post for eight months. The forum is on Monday, August 1 at 5:30PM and will last for 90 minutes. It will be held at the Minneapolis Urban League where the congressman’s district offices are housed. A release from the congressman’s office invites constituents to come and learn about current affairs in East Africa. The forum will focus on governance, humanitarian issues and the agency’s work in the region. References to East Africa in Minnesota usually mean Somalia and not the larger East Africa region that also includes Kenya, Tanzania, Uganda that continental Africans are usually accustomed to when talking about East Africa. The Somali community in Minnesota forms a large part of the congressman’s constituency and it is expected the Assistant Administrator’s focus will zero in mostly on that country. With an annual budget of nearly $36 billion, the United States Agency for International Development (USAID) is the US government’s agency that administers most of its non-military aid. Linda Etim is responsible for $7 billion assistance funding to 46 countries, in 29 regional and bilateral missions across sub-Saharan Africa, according to agency records. Among her stints before becoming Assistant Administrator for Africa in December 2015, Etim served on the National Security Council as the Director for East African Affairs and prior to that as a specialist in African security affairs at the Department of Defense and Intelligence Community.